The way your face needs moisturization in order to maintain its healthy self, similarly, the rest of our body also needs moisture to maintain its elasticity and softness. During winters, our skin tends to get extra dry due to the cold winter wind and lack of humidity in the atmosphere. People with dry skin are the ones most affected. While most of the people will reach out to a body lotion in order to replenish the lost moisture of the body. But they don’t realize that most of the body lotions just sit on top of our skin and don’t get absorbed deep into our skin and soon get rub off. On the contrary, organic oils get absorbed quickly into our skin thus moisturizing it from the inside. Unlike lotions, body oils are free from any harsh chemicals and added preservatives. 1. Olive Oil- Olive oil is rich in three main antioxidants namely, vitamin E, polyphenols, and phytosterols, which when applied topically protects the skin from the early signs of aging. The vitamin E in the olive oil ensures that the smoothness of the skin is maintained and it also protects the skin against the UV rays of the sun. 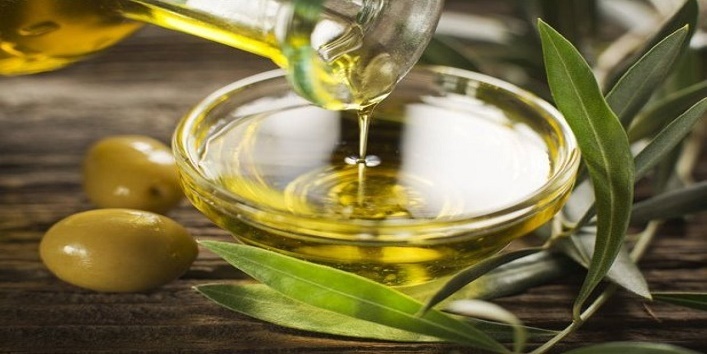 Another rare compound Hydroxytyrosol is found in olive oil which prevents the skin from the damage caused by free radicals. Olive oil is a non-comedogenic, i.e. it does not clog pores and hence can also be used by people with acne prone skin. Unlike the chemical laden moisturizers, olive oil penetrates deep into the layers of the skin without causing any harm or aggravating the current skin condition. You can easily swap your night time moisturizer with organic olive oil. Apply ½ tsp. 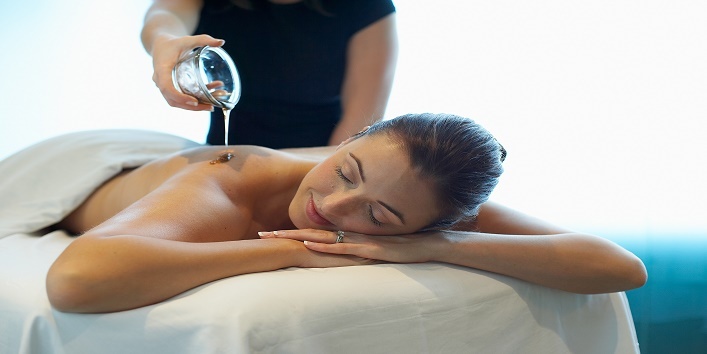 of organic olive oil on your face and neck. Wait for 2 minutes and then wipe off the excess oil with a paper towel. 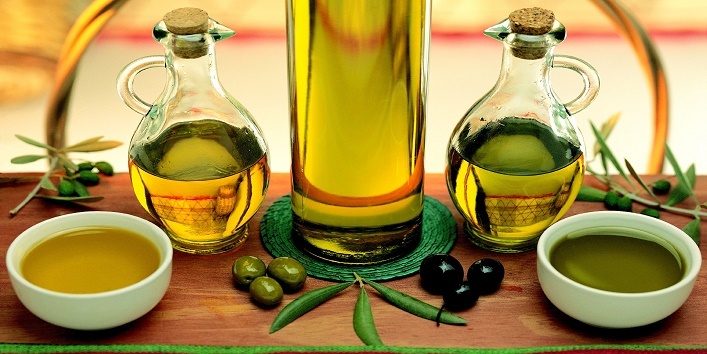 Olive oil may also be used as a body oil in order to restore the moisture of the skin. After taking a shower, immediately apply organic olive oil all over your body to keep your skin moisturized and nourished. 2. Coconut Oil- For years, coconut oil has been a favorite in almost every household in India. From cooking to hair growth, it is used for almost everything. 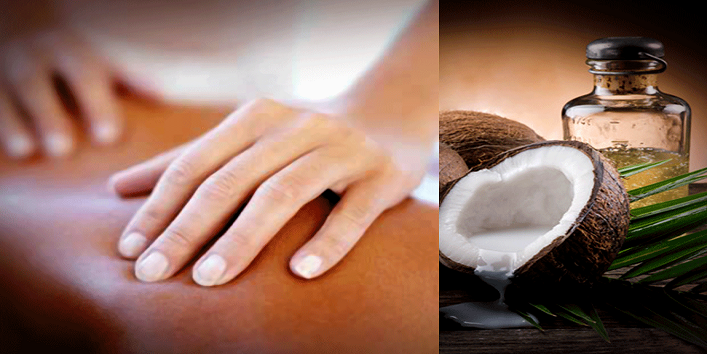 Coconut oil consists of various nutrients that may benefit the skin in the long run. The saturated fats in the coconut oil maintain the smoothness of the skin as it helps in retaining the moisture content of the skin. When consumed orally, these fats get deposited under the skin which in turn help in maintaining the plumpness of the skin, thus reducing the appearance of pores. Other compounds that may be bestowed for giving coconut oil its strong disinfectant and antimicrobial properties are lauric acid/ Capric /Caprylic. 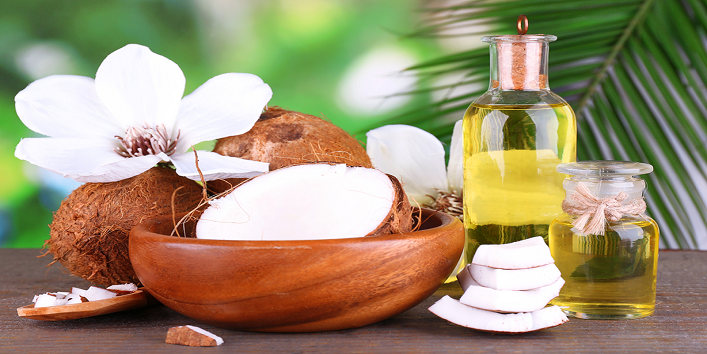 Due to the presence of these fatty acids, coconut oil acts as a barrier against several microbial infections. When consumed orally it keeps infections at bay by boosting the immunity of the body. The presence of vitamin E ensures the healthy growth of skin cells. Apart from all these benefits, it protects the skin from the premature aging of the skin. One of the best property of coconut oil is that it does not become rancid. 3. Almond Oil- Almond oil has been used extensively by people for the various health benefits associated with it. Almonds were first grown in the Mediterranean and the Southeast Asia. 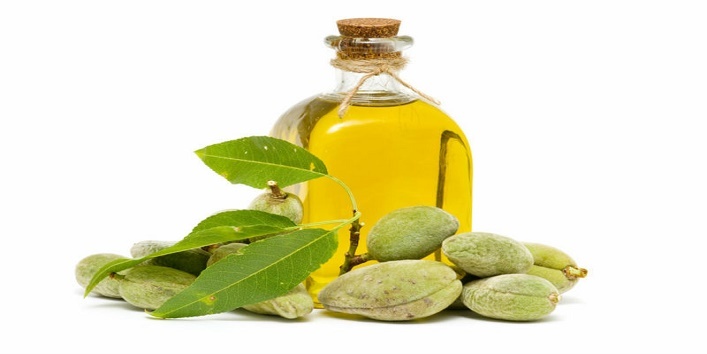 Almond oil is highly beneficial for promoting a healthy heart and luminous skin. Almonds are rich in vitamin E, monosaturated fatty acids, proteins, potassium and zinc making it highly beneficial for your overall health and not just the skin. There are two varieties of almond; sweet and bitter. The bitter almond oil is extracted from bitter almonds. The bitter taste of these almonds is due to the presence of an enzyme called amygdalin which turns into toxic hydrocyanic acid on processing. When congested in very large quantity glycoside may also be fatal. Thus bitter almond oil is preferred for topical or external use only. The sweet almond oil is extracted from sweet almonds that are exclusively edible. This one is preferred for oral consumption as well as topical application. 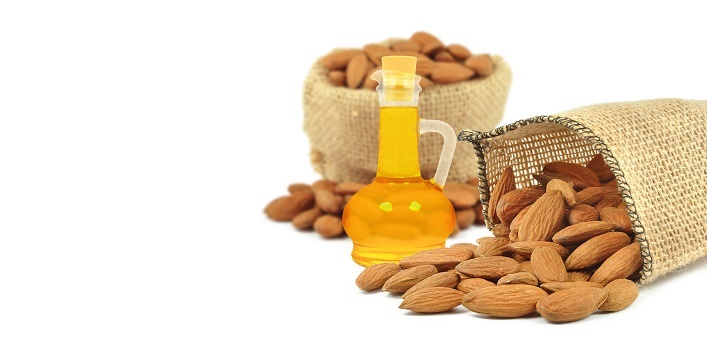 Almond oil is very mild and is hypoallergenic in nature. It gets easily absorbed by the skin thus making it a perfect option for using as a body moisturizer. Regular application of this oil protects your skin from stress, radiation damage and also keeps the skin moisturized and soft. 4. Argan Oil- Argan oil, also known as liquid gold, is enriched with vitamin A and E and thus has amazing healing properties. Argan oil is also rich in antioxidants, linoleic acid, and omega 6 fatty acids. 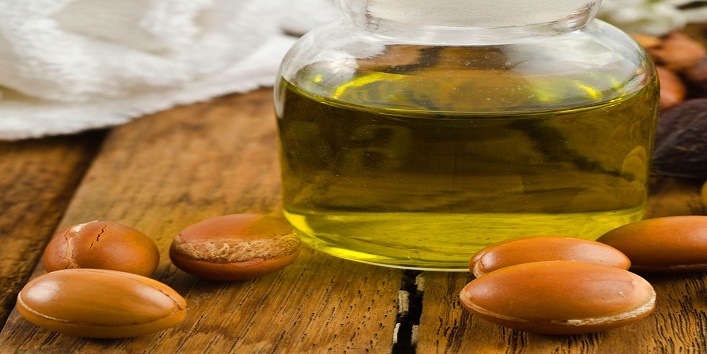 Apart from moisturizing the skin, argan oil has other skin benefits as well as the ability to stop the growth of warts, fade scars and treat a certain type of dermatitis as well. The presence of anti-oxidants and fatty acids makes it a great remedy for treating mild acne and acne scars. With regular use of argan oil, you may also ditch the early signs of aging as well as fade age spots. The moisturizing properties restore the elasticity of the skin and increase the growth of new cells.